Home / Unlabelled / Meet "Iam_Phi", Nashville's Up And Coming Artist With A Strong And Consistent Grind"
Meet "Iam_Phi", Nashville's Up And Coming Artist With A Strong And Consistent Grind"
Nashville, TN has and undiscovered diamond in the ruff. This diamond is currently being dusted off and preparing to shine. Indie recording artist 'Iam_Phi has been building his presence in the underground Hip Hop circuits, new to the game he isn't. But. as with anything, there are levels. Iam_Phi has always held a skillful title in the art, and now he is showing his skills in business and marketing and he is preparing 2 new single releases and an upcoming project. With a January 2018 release set for the "Trapping & Rapping" EP, Iam_Phi is preparing to release some hot singles to keep the listeners warm through the winter in the meantime. On October 28th, Iam_Phi will be releasing his first single "Still Not Free" on all major streaming and distribution platforms. Less than a month after that, on Novemeber 24th, Iam_Phi releases his second single "Lie To Me" on the same platforms. Iam_Phi is one of those artists who like to paint a picture based on the true reality of their life. The Ups, the down and every bump in between. 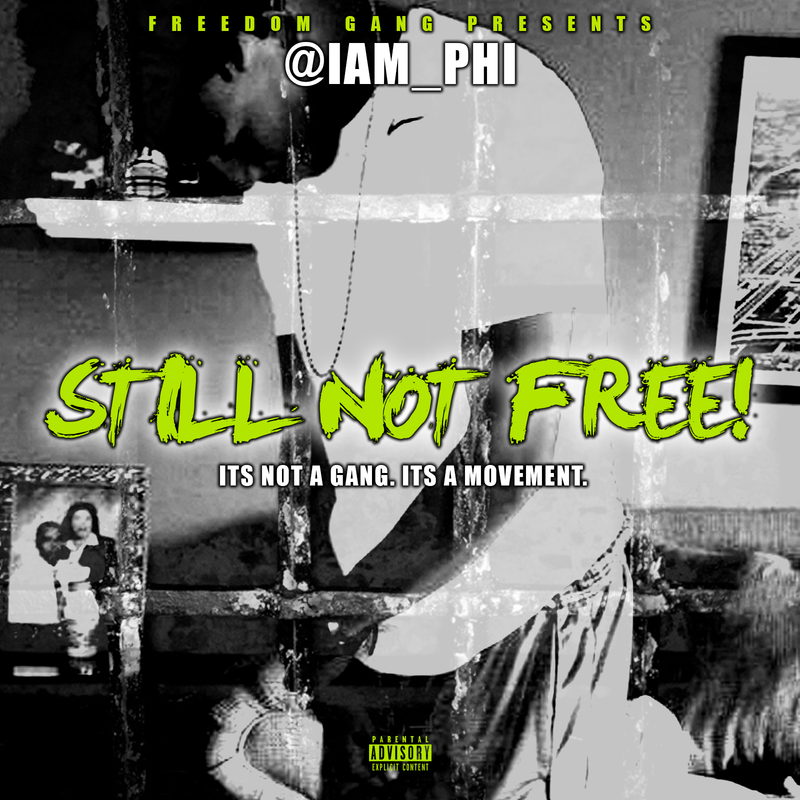 It gives Iam_Phi's music a presence of reality. With lyrical skill only strengthening his art, each song is a motivation spirit channeled through a struggle that molds some of the strongest individuals. Something the art of mainstream Hip Hop has been deprived of.